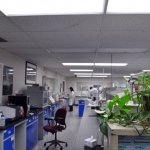 Advanced Botanical Consulting & Testing, Inc. (aka ABC Testing) is an independent analytical testing laboratory providing state-of-the-art instrumental chemical analyses to private, industry and government customers, both domestically and internationally. We presently specialize in botanical and nutritional analyses using GC, GC/MS, HPLC, TLC, UV-Vis, IR, FT/IR, Fluorometry, ICP, ICP/MS, ELISA, titration and other chemical, biochemical and wet chemistry techniques along with analysis of microbial contamination using current approved methods. 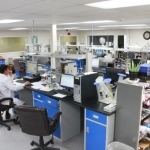 Services include testing for the pharmaceutical, health care, biotechnology, environmental, food and cosmetics products. To become a trusted partner in the business of our clients around the world by providing quality analytical chemistry and microbiology testing, friendly service and valueadded consulting. At ABC Testing, we enforce five quality principles, which are Communication, Team Work, Truthfulness, Effort, and Responsibility . Communication is a process of which information is exchanged between individuals or groups through a common system of behaviors, languages, symbols, or signs etc. As of the top priority, ABC Testing establishes a good system of communication between the clients and employees. All employees at ABC Testing are well aware of the importance of satisfying the clients needs. Hence, we work together to analyze, discuss, inform, and suggest about the product components and qualities of our clients. Thus, we are all informed of how we are doing and how well we are performing through our quality program. All employees of ABC Testing are engaged in our quality program, so that we work as a team, to serve our clients with our daily quality of work. As a quality service team, we follow and execute the established quality protocols to serve better and to provide quality results to our clients with honesty. To be a quality service team among the competitors and to be a distinguish one, we put huge effort to determine our business function and service are embedded with quality conformity and volition. As such, all trained personnel at ABC Testing are responsible for achieving the highest quality of work, and improving the daily function of business. 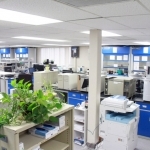 While GLP and GMP regulations under FDA refer to specific regulated activities in support of applications for development or production of drugs or food, ABC Testing follows many of these practices as standard procedures, and is capable of full compliance for the regulated programs when necessary. QC refers to steps taken by the analysts whom are responsible to insure and monitor precision and accuracy. QA is a completely separate and independent monitor of QC activities. ABC Testing provides completely separate and independent QC and QA functions according to the GLP regulations. The Quality Assurance Manual of ABC Testing, Inc provides a brief description of both. Another product of compliance with GLP and GMP is an expanded set of SOPs. Extensive details of management operations and laboratory functions are well stated in the corresponding SOPs, of which all personnel shall follow. The SOPs of ABC Testing now covers many new functions and operations, and that included procedures and protocols previously not being addressed in the manuals. New SOPs have been added dealing with the maintenance and expansions of the operation of company and facilities, such as chemical handling, complaint resolution, data management, document control, GLP, GMP, instrument calibration and maintenance, methodology, safety, storage control, personnel training, waste management, as well as many more analytical methods. Our chemists have diversified method development/validation experiences in botanical, nutraceutical, pharmaceutical, cosmetics and food safety fields. Our wide range of high quality testing methods in this brochure is a direct result of our combined knowledge and experience in analytical services for many years. In addition to method development and validation, we provide a number of process development and validation services, such as content uniformity, cleaning valid of manufacturing process. We can help troubleshoot formulation problems, compare to national brands, improve extraction processes, and identify/recommend suitable marker claims to enhance marketability of your products. We also provide services for formulation development and validation, such as shelf-life study of both real-time and accelerated dissolution and disintegration of dosage forms. The stability data on your raw materials and packaged finished products can be generated at Advanced Botanical Consulting & Testing, Inc. Our stability protocol is designed based on the ICH guideline that will give you the accelerated 3 month data for quick marketing need then continue on with the 2-year room temperature stability data to defend your expiration dating claim.We have multiple environmental chambers for stability study that can be set at the conditions of any of the four climatic zones as divded by the ICH (International Conference of Harmonisation) guidelines. Provides information on the potential risks of food poisoning and/or spoilage is also our expertise in microbiology testing. It is used to simulate a microbiological contamination into the product and how they will behave during processing, distribution and subsequent handling. Challenge study helps you ensure the safety of product where potentially hazardous microorganisms might be present. HACCP is a flow diagram of the whole food chain that maps on critical points to monitor for time and temperature. We can provide assistance in drawing up HACCP plans and training workers to use them properly.